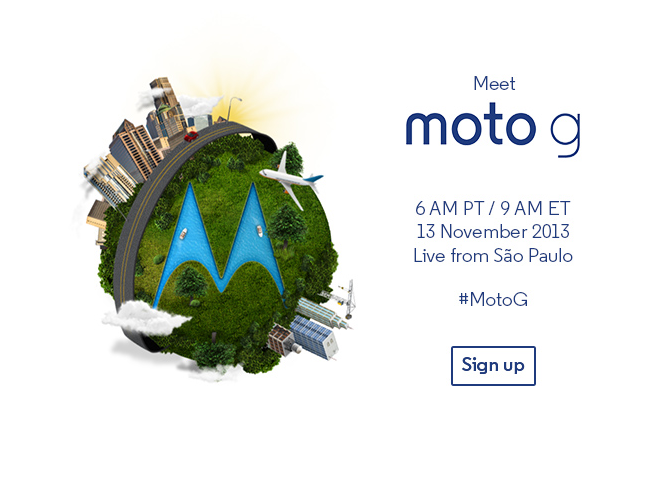 Earlier this week, Motorola sent out a “save the date” for November 13, the day they will unveil their next phone called the Moto G. Today, they have given us an exact time and place to join in on the phone’s unveiling: 6AM Pacific (9AM ET) via Google+ event. And that’s pretty much it. The event will be held in Sao Paulo, Brazil, a sign that likely points toward this being Motorola’s ultra-affordable global offering. We already think we know almost all of the specs of this mid-range phone, so now we simply sit back and wait for a price. To RSVP to the live stream, hit up this Google+ event page.